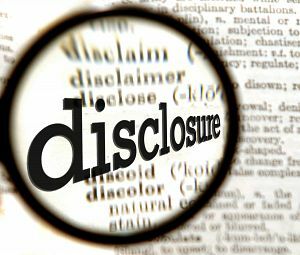 The short story "The disclosure" by Laya Bajpai is written from the first person perspective, the main character is the narrator herself, who is the woman who told the story of her life. The plot started from the description of everyday life. The narrator with her husband came back to Mumbai from the USA. They enjoyed being home, they drank the tea, relaxed. The narrator had to go for her fund-raising session the next day, her work comprised of helping women become self-sufficient. The author describes in detail the routine of ordinary life, like waking up, preparing for the meeting. Everything was going well, the narrator seemed to be satisfied by that style of her life. During the course of the story, the narrator describes seeing in the cupboard the sari gifted by her grandma. Old memories flashed through her mind, and she recalled the life of her grandmother: "I recalled my overbearing grandfather. He was strict and though I saw little of him, as a husband he was not very caring. My grandmother was treated very shabbily. She was confined to her quarters and she was only allowed to come out in the veranda." The mother had a partly similar fate. The narrator said, "She educated me and married me off at 25 to a nice guy. ". It seemed that the comparison of life of different generations shed light on the advantages of the current life of the narrator. These details of her life were presented by the narrator during the fundraising meeting to the audience. While many women identified with the narrator, one woman who came to the meeting walked across to her and questioned the narrator whether her plight was any better than her grandmother or her mother. This shocked the narrator and she asked the woman what made her make such a remark about the narrator’s life to which the woman replied that she had evidence to prove that the narrator wasn't as happy as she believed. She disclosed the fact that the husband of the narrator had another family and that she was his second wife. Everything has changed since that time, the narrator divorced and started an independent life. Nevertheless, the author finished the story with a positive mood. The author left the open question for readers about the status woman in modern society and better choice: to be a subordinate on the husband or being independent. Even Laya Bajpai didn't focus on exploring the feelings of the main characters, love is a key element for making a vital decision related to the family. This dilemma is quite complicated and the conclusion about happiness was left for reader's choice. Despite the fact that the author didn't expose emotions in the text. it is obviously a very sensitive story. The author drew in the beginning of the story the picture of everyday life'. It was very important to show the rhythm of life, it's routine because it changed dramatically in the ending of the story. The author used a method of connection between one specific thing - the sari and it aroused the recollection about the past. This is a good way to start writing: one visible thing could link with many hidden others.